Im not sure if anyone remembers but a while back i went on a real Kathryn Croft binge and read nearly all the books she has released because she is just a fantastic author and i can't beileve i never actually wrote the review to this one! However, after a quick recap of the story line i am ready to share my thoughts on this gripping thriller. Tara wakes up one morning, she is not in her bed with a man who is not her husband - shes with her neighbour who has been murdered. Tara cannot remember the night before, but she knows she didn't murder him - so she leaves and keeps quiet. She just wants life back to normal. As we follow the story from Taras POV - we start to learn, there is alot of secrets and these are running the risk of ruining everything. While you were sleeping is another story were i felt i couldnt really trust anyone, because everyone was out to protect themselves. As all these mysterys tumble out - we are thrown all over with the narrative and its brilliant, its a page turner from the get go, and nothing is as simple as it seems. The characters were all well developed and as we learnt more about each of them, you felt like you were involved in the drama, each was fleshed out and created brilliantly down from Tara (the mother protecting her family) to Rosie (a real true to life teenager lying her way through all her secrets) While you were sleeping is by far the best read by Kathryn Croft (and i love her madly) it is a real hook you in and never leave until you get the answers kind of read, and when you do - you will be left shocked. Kathryn Croft is the bestselling author of The Girl With No Past, which spent over four weeks at number one in the Amazon chart. 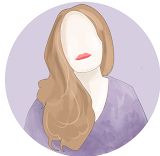 Her other novels, Behind Closed Doors and The Stranger Within, and The Girl You Lost all reached number one in the psychological thriller charts. 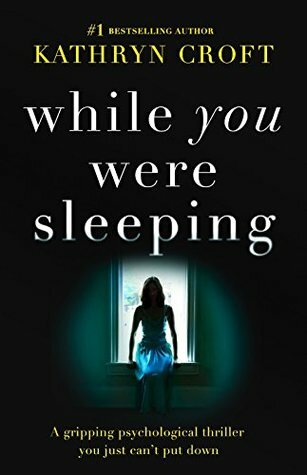 Her fifth novel, While You Were Sleeping, will be published on 16th November 2016, and is now available for preorder on Amazon. After six years teaching secondary school English, Kathryn now writes full time and has a publishing deal with Bookouture. Having always been an avid reader, Kathryn believes in the power of words to entertain, teach and transform lives. She is also a firm believer in following your dreams and says anything is possible if you work hard enough and never give up! Kathryn lives in Guildford, Surrey with her husband, baby son and two cats. I have been loving thrillers lately and this one sounds great. I love it when you don't know who you can trust in these stories!